Manu Goswami, Producing India: From Colonial Economy to National Space. Georges Steinmetz, The Devil's Handwriting: Precoloniality and the German and the German Colonial State in Qingdao, Samoa, and Southwest Africa. Andrew Sartori, Bengal in Global Concept History: Culturalism in the Age of Capital. John L. and Jean Comaroff, Ethnicity, Inc.
Nadia Abu El-Haj, The Genealogical Science: The Search for Jewish Origins and the Politics of Epistemology. William M. Reddy, The Making of Romantic Love: Longing and Sexuality in Europe, South Asia, and Japan, 900 - 1200 CE. 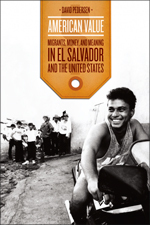 David Pedersen, American Value: Migrants, Money, and Meaning in El Salvador and the United States. William H. Sewell, Jr, Logics of History: Social Theory and Social Transformation. James H. Smith, Bewitching Development: Witchcraft and the Reinvention of Development in Neoliberal Kenya. Lisa Wedeen, Peripheral Visions: Publics, Power and Performance in Yemen. Danilyn Rutherford, Laughing at Leviathan: Sovereignty and Audience in West Papua. Andrea Muehlebach, Welfare and Citizenship in Italy. Hussein Ali Agrama, Questioning Secularism: Islam, Sovereignty, and the Rule of Law in Modern Egypt. Katsuya Hirano, The Politics of Dialogic Imagination: Power and Popular Culture in Early Modern Japan.